The Dura-Trel Cambridge Trellis is cleverly crafted to treat you to the classic look of a painted wood trellis with none of the maintenance concerns. 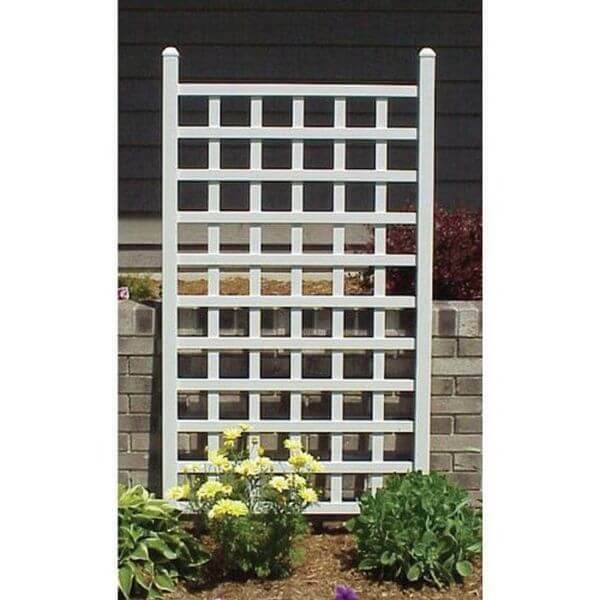 Fashioned out of PVC vinyl, this classic single panel trellis arrives ready to install with all of the necessary hardware and comes with a 20-year warranty. Spruce up a bare spot on your porch, patio or deck with the Arboria Deco Freestanding Corner Trellis. 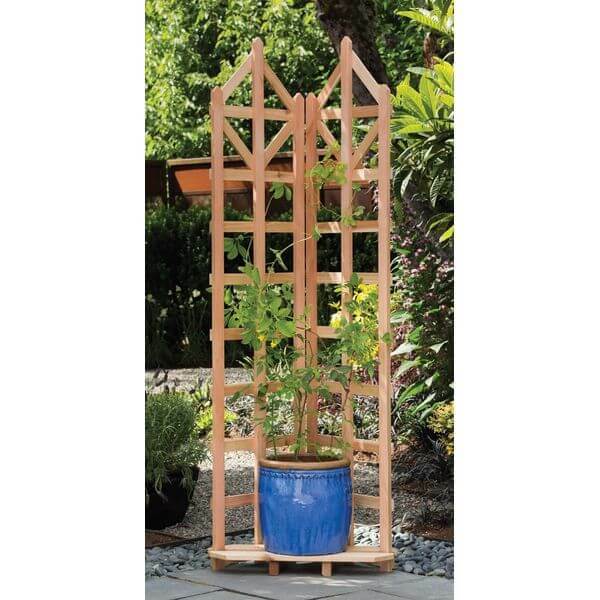 Designed perfectly to place in a corner, the trellis features an integrated stand for showing off a potted plant. 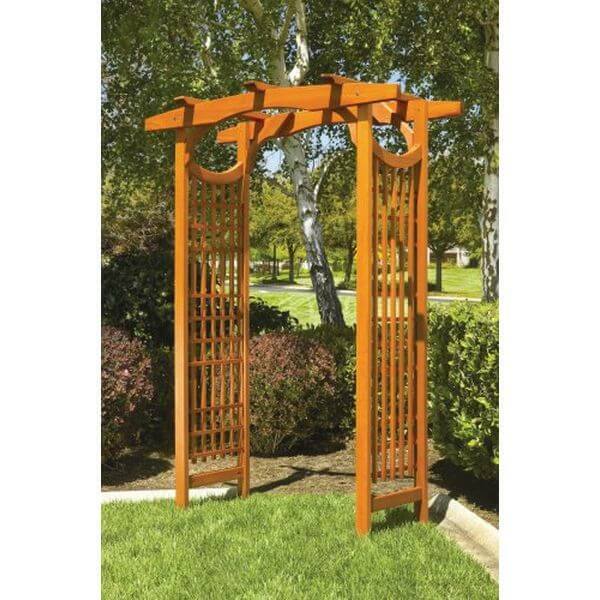 Its western red cedar construction makes the trellis resistant to rot and pests. The Dura-Trel Providence Arbor may look like a traditional wood arbor, but it has one smart secret–it’s actually crafted out of PVC vinyl! 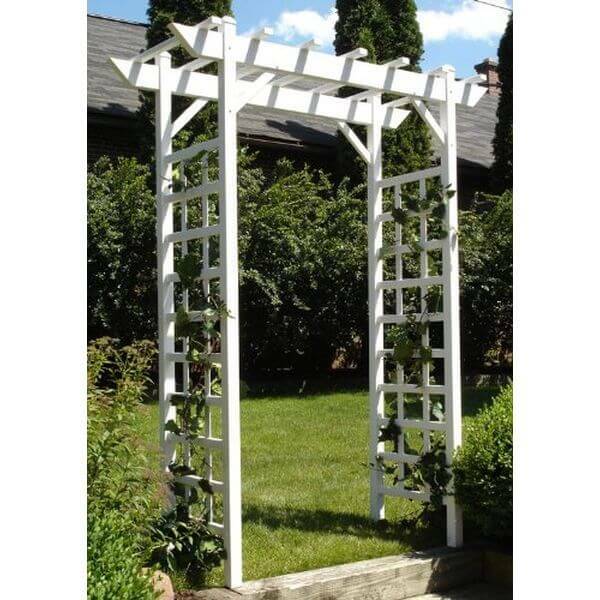 As a result, this arbor can be enjoyed for years to come without any maintenance requirement. The arbor arrives with ground anchors and all of the hardware needed for assembly. 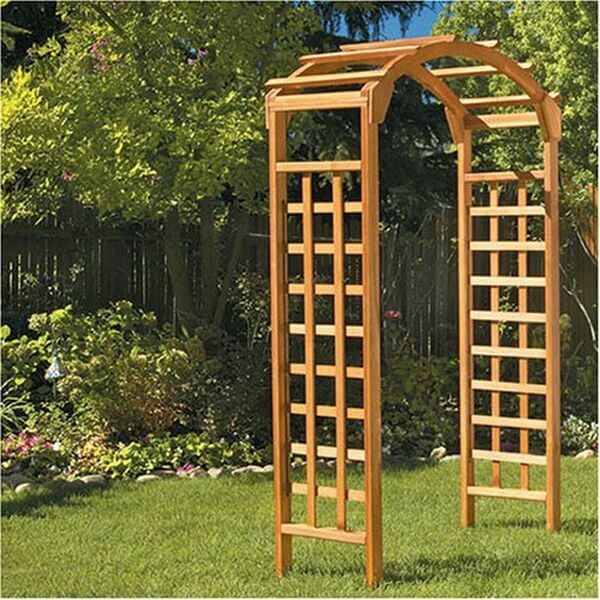 With the Greenstone Arch Arbor, you can enjoy the beauty of natural wood for years to come. The arbor features layers of Protected Planter Guard stain, which enhances the look of the wood grain while helping to protect it from weather damage. For easy assembly, the side panels are shipped already assembled. The Greenstone American Bungalow Arbor will put a lovely finishing touch on the look of your landscaping and can be a great place to put a bench or a garden statue. Finished with Protected Planter Guard stain, the arbor is better able to withstand the effects of weather than the average wood trellis. 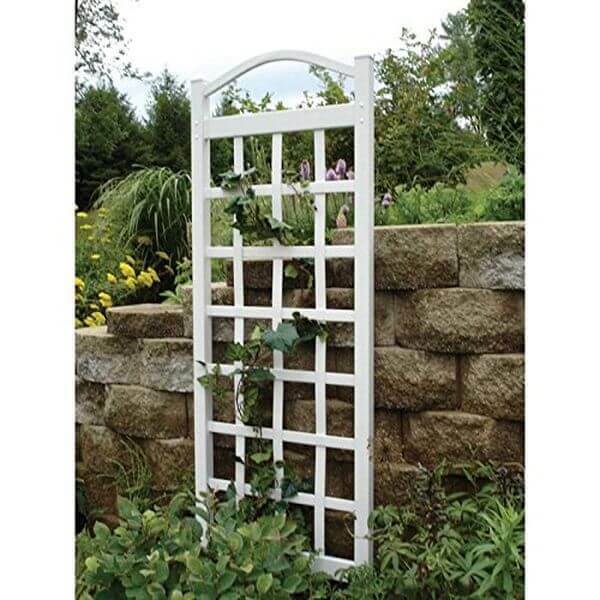 While the Dura-Trel Country Garden Trellis offers all of the beauty of a traditional lattice trellis made from wood, you’ll never have to worry about it cracking, peeling, fading or becoming discolored! That’s because this trellis is crafted out of PVC vinyl and will never need maintenance to continue looking beautiful.